Local Councils – a form of freak governing? 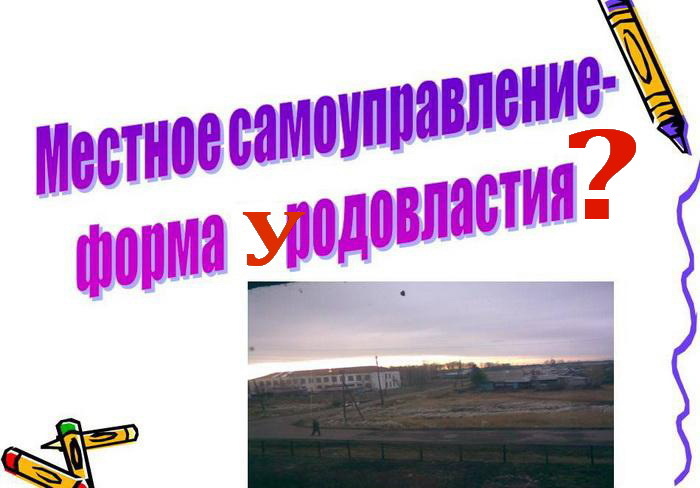 Главная > Новости > Local Councils – a form of freak governing? Over the past few years non in the first time Gomel City Council of Deputies «started» the process of creating bodies of territorial self-government. Council watched for a long time and tried on a different experience in other cities… And now finally decided, but … there was confusion. In November 2014, Gomel City Council of Deputies incorporated in the agenda of the seventh session the issues of territorial self-government bodies in the city of Gomel. The Chief of the City Council – Ivan Borodinchik said: «Gomel`s dwellers need to be indifferent to what is going on … they need to participate in solving problems, related to the quality of accommodation …». Head of the department of organizational and personnel work of City Council Tatiana Marchenko explained that today there is no clear unity in structure, that necessary to have. In the preparation of the issue, it was explored and analyzed experience in Minsk, Grodno and Zhlobin. All these cities went towards the creation of territorial self-government in the territory of housing offices. At the beginning of November 2014 Gomel went after the Minsk, Grodno and Zhlobin on the proven path. And after two weeks managed to go to a dead end … On 26 of November 27 commissioners by the disposition from the high authorities held meeting for creating the Committee of public self-government in the territory of the housing office 9 «Selmashevskoe.» They approved the Statute and elected seven members of the Committee of TPSG. The author of these lines was elected among the 7 members of the Committee of territorial public self-government (TPSG). But when I started to check the documents, it was found that 3 members of the TPSG became members in the violation of point 1 of Article 29 of the Law «About local government and self-government in the Republic of Belarus». Members of the collegial body TPSG must be permanent resident on the part of the administrative-territorial district, in which creates this organ of territorial public self-government. That is, in the territory of the housing department-9. It was just the top command given: «Choose, without limits!» … And there were «chosen»: deputy city Council of deputies Igor Korotkevich, district inspector of the district police department Andrey Suglob and vice director of school on educational work – Irina Makanina. But they all don`t live on the territory of the creation of the TPSG body. Therefore, the process put on the brakes. «Our House» offers you to get acquainted with an exemplary standard sample Regulation on the Committee of territorial public self-government (CTPSG) on the territory of competence of a house managements – housing department in the city of Gomel. on the territory of Housing Office №_ «_____________». 1. The position of the Committee of territorial public self-government (hereinafter – Regulations) have been developed in accordance with the approximate regulation of the collegial body of territorial public self-government, approved by the decision of the Gomel Regional Council of Deputies on 10 September 2010 №33 determines the order of creation and activities of the Committee of territorial public self-government ( further – CTPSG) in the ZHEU- ____ KZHREUP «________________________» (hereinafter – ZHEU- ____). 2. CTPSG created and operates in accordance with the Law of the Republic of Belarus of January 4, 2010, «About local government and self-government in the Republic of Belarus» and this Regulation without a conforming legal entity. Gomel City Council of Deputies (hereinafter – the Council of Deputies). Control over the activities of the CTPSG provides a permanent commission of mandates, the deputy ethics, law, law enforcement and local government. 5.12.assistance in other issues of local importance problems. 6.4. defines the organizational structure of the CTPSG. 7. The members of the CTPSG can be citizens, reached eighteen years old, who permanently live in the territory of ZHEU- ____. 8. Members of CTPSG may be iniciated by the citizens, as well as the Council of Deputies, executive and administrative bodies. 9. Members of the CTPSG elected by open or secret ballot at the local board-meeting of citizens (authorized). The form of voting is determined by the local board-meeting of citizens (authorized). The term of the CTPSG members’ competence can`t exceed the term of competence of the Councilof Deputies. 10. The composition of CTPSG consists of chief, vice chief and other members. 11. Management of CTPSG carries by chief of the CTPSG, and in his absence – vice chief of the CTPSG, that are elected and dismissed from their duties from the number of its members in agreement with the Council of Deputies at the meeting of the CTPSG. 12. The chief of the CTPSG is accountable for all aspects of activities to CTPSG, local board-meeting and Council of deputies. 13. The chief of the CTPSG is a member CTPSG administration ___________________ district. 14.4. in the case of termination of membership in the CTPSG. 15.2. obtain information about the CTPSG. 16.3. in the case of termination of member in the CTPSG. 16.6. in the case of death of a member of the CTPSG, recognition of his missing or declared dead. 17. Meetings of the CTPSG, held as necessary, but at least once every six months. 18. Meeting of the CTPSG is competent if it is attended by at least two thirds of its members. Citizens are entitled to free access to the meetings of the CTPSG, participation in its work with the right of deliberative vote. 19. The decision of the CTPSG adopted by open ballot, a simple majority vote. 20. The decision of the CTPSG applies only to those citizens who live in the territory of the housing department – ____ and implemented on a voluntary basis. Council of Deputies in the case of systematic or flagrant violation of the law. – List of CTPSG`s members with the name, first name, patronymic, year of birth, citizenship, place of dwelling, place of work, home number (mobile) and working phone number, position in the CTPSG.